Slender and compact as before, but even more comfortable and in the new look: the COMFORTPACK 3 offers superior carrying comfort and ample space for all your paragliding equipment. 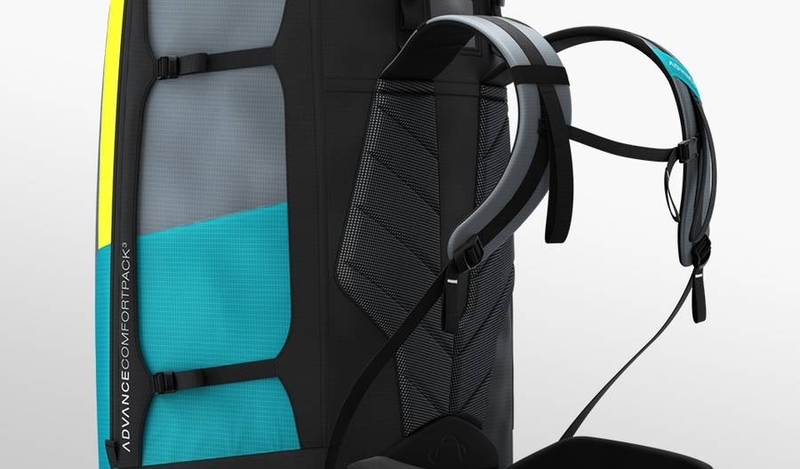 Even with its numerous small additional stowages the comfortable paraglider rucksack appeals by its consummately clean design. The colour scheme of the COMFORTPACK 3 reflects the modern shape and colour geometry of current ADVANCE paragliders and harnesses. In addition the shoulder straps and back section have been further ergonomically refined. The waist strap has also been modified. A zip on its small pocket, front right, and a push-in pocket on the left round off the new details. 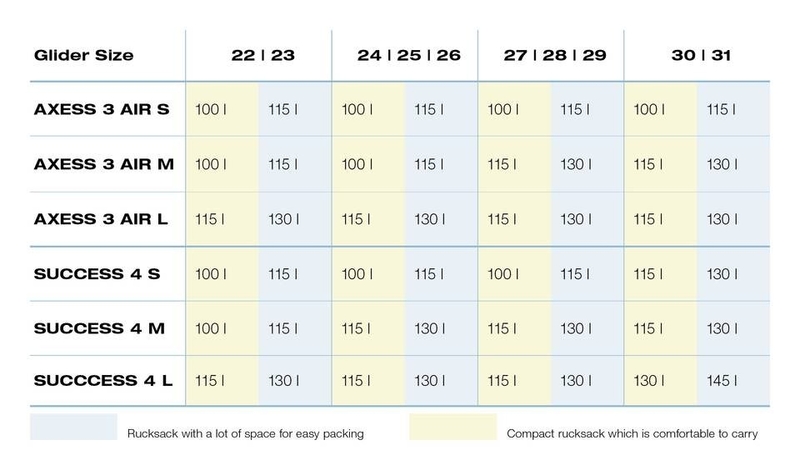 Like its predecessor – and all ADVANCE paraglider rucksacks for the last ten years –COMFORTPACK 3 also has a continuous zip that runs around the top edge. By unzipping the top the front of the bag can be opened and folded back like a lid, enabling essential items such as helmet, gloves and other useful essentials to be easily stowed (topload function). It’s not just the clean design, but this zip has also been frequently copied. But Original is still Original. 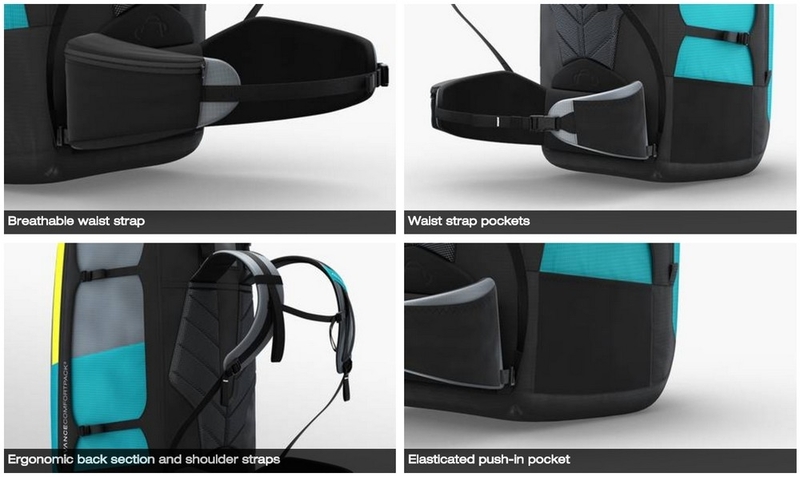 The COMFORTPACK 3 features a breathable waist strap, waist strap pockets, ergonomic back section and shoulder straps, and elasticated push-in pocket, amongst others. 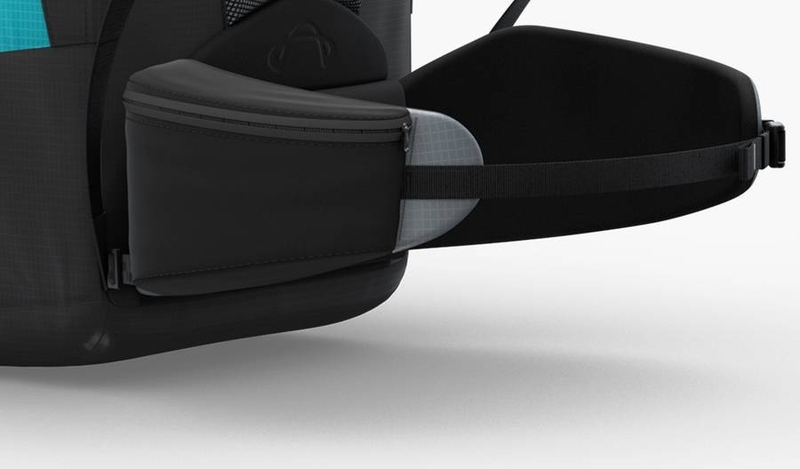 The waist strap is ergonomically shaped and does not ride up. If preferred, for example to save weight, it can be detached. 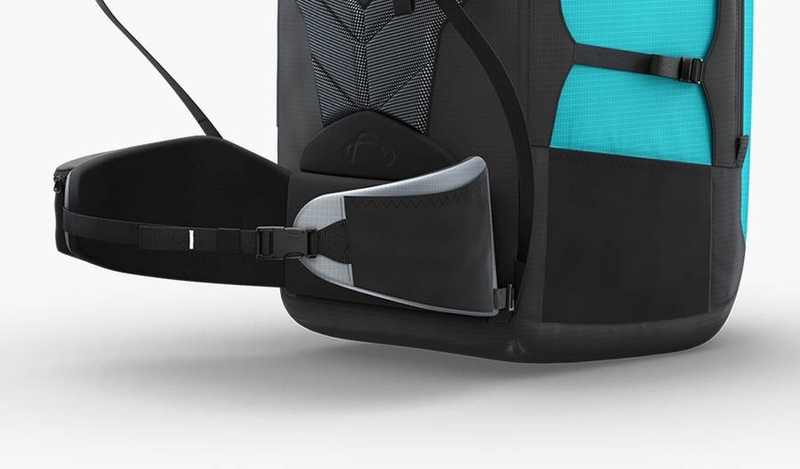 The two pockets on the waist strap - right and left (right with zip) - have room for small to medium sized essentials such as smartphones, wallets or keys. The COMFORTPACK 3 sits perfectly on the body and provides exceptional carrying comfort by virtue of its ergonomically shaped shoulder straps and a back section with mesh. 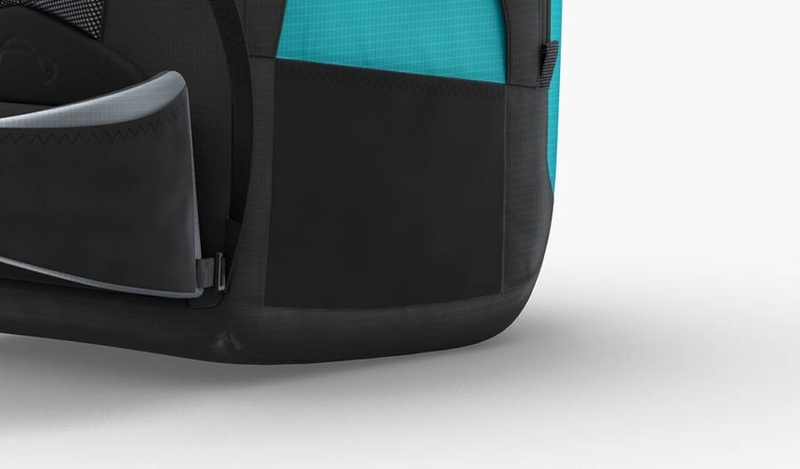 The push-in pocket on the left is convenient for stowing a small drink bottle, for example. It’s then easy to reach while walking.